Improving the client’s asset data management capability; and streamlining and automating the client’s work-flow management capability. Geosemantic’s SMART traffic software solution enables municipalities and local authorities to improve the experience for road users by reducing congestion and maximising smooth flowing of traffic through intersections. 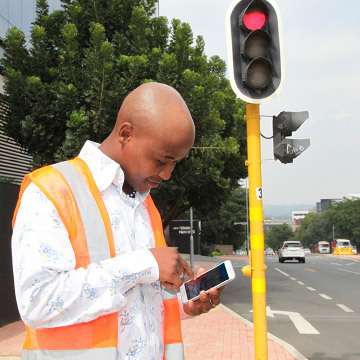 It does this by providing a single view of traffic signal infrastructure on a simple visual interface, enabling managers to rapidly identify problem areas and deploy fixes in a prioritised manner. These elements are enabled through Geosemantic’s SMART traffic software solution. With the global movement towards autonomous intersections, South Africa needs to fully understand its current status in terms of infrastructure and available data before implementing global technological innovations. South Africa has its own unique challenges, including cable theft, high accident rates and unstable power supply. Root cause analysis enabling permanent solving of issues. A critical determinant for any road authority to achieve its objectives to improve the condition of its roads infrastructure is a comprehensive understanding of its assets. 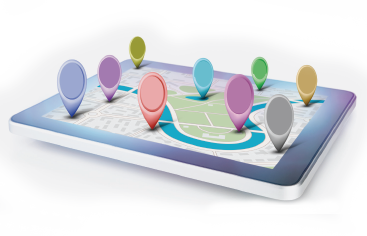 Geosemantic Solutions can help you to develop a complete view of all your assets, and build the tools for management to be able to monitor and manage assets most effectively. Geosemantic’s SMART asset management software solution enables municipalities and local authorities to improve asset data management, streamline and automate their workflow and produce accurate reporting. South African cities are dynamic due to rapid urbanisation and extensive construction. If these activities are uncoordinated, surface road assets as well as underground assets, such as stormwater pipes are impacted. Municipalities need to fully understand their current infrastructure in terms of location and condition in order to accurately budget for maintenance of exisiting infrastructure as well as to accurately budget for upgrades and new infrastructure. Local authorities often have an incomplete picture of their asset register and are unable to make quick adjustments based on our ever changing cityscape. A full asset database – Geosemantic teams capture the location and photos of all assets within the road reserve. 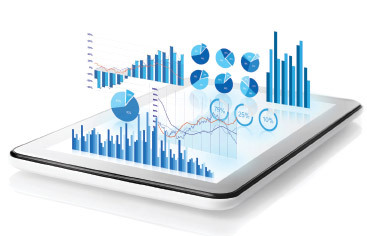 Prioritised maintenance based on condition indices and accurate budgets. All departments will be able to see these planned activities and plan accordingly. Many Government departments store thousands of hard copy documents and drawings. Retrieving these documents is also a manual process. Very often multiple documents need to be retrieved in order for managers to make informed decisions before responding to citizen requests. The time taken to find these documents and respond to these requests is also delayed because of these manual processes. Our SMART document management solution can resolve these issues. Customised interface to search and retrieve data, with several filters to retrieve the correct information.